As a novice stock market investor, are you still believe that the stocks that are low in share prices are the best bargains? If you do so, it’s not your fault. You’re not alone. I also was in the same boat before in choosing a potential penny stock. In fact, you sometimes fall into the trap of believing that the shares with the lowest share prices have a great potential of raking in huge sums of money. After all, with a stock that costs only $1 can bring you $2 to double your money, and so on. Even though there is no problem with this math, it is often misleading. In India, however, the stocks traded below INR 10 are usually called as penny stocks or micro-cap stocks. Although Indian stock market regulator, SEBI (Security Exchange Board of India) has not defined them or come out with specific guidelines regarding penny stocks. The only secret to making good money in the stock market is to have patience and proper money management. So, what you need to do is to figure out how penny stocks work and learn how to make money from them. The term penny stock has evolved with the stock market. In the past, penny stocks were used to be the stocks that traded for less than a dollar per share. The Security Exchange Commission (SEC) has eventually modified the definition to include all shares trading below $5. Most penny stocks don’t trade on the major stock market exchanges. These are those that trade at a very low price, even cents, have very low market capitalization, are mostly liquid or traded less, and are usually listed on a smaller exchanges. Penny stocks traded in the Indian stock market can have prices even below Rs 10 or less than their face value. In western markets, shares that trade below $1 or even include stocks under $5 are usually called penny stocks. These stocks are very speculative in nature rather than any kind of fundamental potentiality.Penny stocks are considered highly risky because of lack of liquidity, smaller number of shareholders, low trading volume, and large bid-ask spreads and limited disclosure of information. Promoters can be holding majority of their shares. So there is every possibility of manipulation and you may be trapped in them. But some of them also have the potential of turning a small investment into a fortune. Penny stocks are traded on over-the-counter using electronic quotation systems called Pink sheets. Oftentimes, smaller start-up companies with less than $4 million in assets or those who do not own tangible assets such as buildings and equipment tend to issue penny stocks. As I said before that there are a lot of downsides to penny stocks as they are subject to price manipulations, sudden delisting and regulatory scrutiny. Many a times, you can see a sudden spike in price and volume of shares from nowhere. This price spurt could be due to genuine interest shown by the investors because of any positive change in their fundamental view or the spike in price could be a manipulative one. You may be aware that penny stocks are more prone to scams. Many shell companies are thus floated overnight, issued IPOs, and disappeared with your money before they face regulatory action. The reason behind this is that they are often not regulated by a national-level stock exchange. Because of all these inherent risks, stock exchanges put these types of stocks in a different low grade category. In this category, no intraday share trading is allowed. Transactions have to be mandatorily settled on the same day in which you must deliver the shares if you’re a seller or take delivery if you have bought them. Now, How to buy stock? You can get started trading in penny stocks by opening a trading account with a stock broker firm of your choice. Unlike regular stocks, buying or selling price of a penny stock is a bit more complicated. In a typical transaction, your broker-dealer arranges a trade for you based on the bid price and ask price. A bid is the amount someone is willing to pay for a stock, whereas the ask price is the amount for which someone is willing to sell a stock. The difference between the two is known as the spread, which will determine how much money you make or lose on a trade. Can you make money in penny stocks? Yes, you can if you’re able to pick a fundamentally good company that is making money through legitimate businesses. A big no, if you’re a newbie and unable to figure out a potential penny stock. You may very likely to fall in the trap of manipulators. It’s true that every small cap or medium cap stock once used to be a penny stock. And over the years, these penny stocks have proved that they are capable to generate revenue and profits for their investors. But at the very beginning, you may be lured to trade on them because they are cheap and sound promising you big profits. But, without researching, trading penny stock is also a good way to lose your money too. You may be aware of the fact that penny stocks are often issued by start-up companies with little track record and that broker-dealer commissions are based on the size of the spread can make it difficult to make money trading in penny stocks. Although penny stocks can sometimes give explosive moves, it is important to have realistic expectations. Here patience is a vital characteristic because it may takes years to materialize that explosive moves into multi-bagger gain. To protect yourself, choose penny stocks that are listed on major exchanges that are highly regulated. What are the potential Penny Stocks? What Makes Penny Stocks So Risky? No Minimum Standards :You should aware of the fact that penny stocks listed on the Over-the-Counter Bulletin Board (OTCBB) and pink sheets need not necessarily have to maintain minimum preset standard requirements. That’s why they are free to move to smaller exchanges. Those minimum standards are very essential for the utmost safety of your investment. Lack of Historical Info : Many of the penny stock or micro cap stock companies are either newly formed or on the verge of bankruptcy. Many of them are showing poor track records. This lack of historical information hinders your decision making process very difficult. Lack of Liquidity : Unlike blue-chip companies, penny stocks are proved to be less liquid. That means, you may find it difficult to sell them when you want to. Trading volume could be so low that you can hardly find a buyer for a particular stock. Second, low level of liquidity opens the floodgate of opportunists to manipulate stock prices, by either luring to buy them low, hype it up and then pump and dump them at high prices. Signs of Scams: Many a time you might receive an unscrupulous emails from a shady sources and recommendations got from a forum or message board touting a penny or micro-cap stock to be the next big one or multi-bagger. But eventually you have found that stock turned out to be a big fraud. That’s why you always need to be extra careful investing in penny stocks. So screening and filtering and at the same time opting a well-research strategies are essential for safe-guarding your investment. If you Google, you can find many such instances where investment of many such innocent investors are being ripped off. What are the important qualities of best penny stock? Doing some sort of fundamental researches on your part and finding worthy ones are perhaps the better way investing in penny stocks. But in your researches, what should you look for? Well, there are some important ratios that are guiding you in the right direction. You can find all of the below listed ratios in a company’s recent balance sheet and earning statement. In most of the below instances, I talked about Asset and Liability. Now, what are these terms actually are. Assets are what the company own and Liabilities are what the company actually owes. Current Ratio: This is a liquidity ratio. It is found by dividing a company’s current asset by its current liability. The ideal value should be 1 or more that indicates that the company has enough asset value to cover its current outstanding liabilities. Anything less than 1 is not desirable and better you should stay away from these stocks. For example, if the current ratio of a company is ½ or 0.5, then you may simply say that its debt is two times bigger than the value of its current assets. Thus the company lacks sufficient assets to cover up its liabilities. How can a company survive in the long run and give you return on your investment that always receives less cash than it pays out? Warren Buffett, the genius investor likes a current ratio above 1.5. But a much higher current ratio may indicate bad money management. Quick Ratio: It is similar to current ratio. The prime difference is that it counts cash only in its current assets. Cash includes account receivable and marketable securities such as liquid stocks, bonds etc within the next 12 months period. This ratio is said to be superior to the current ratio because assets in current ratio may not be truly liquid when resold. Anything more than 1 or higher is desirable value in quick ratio for meeting short-term debt of a company. Cash Ratio: You might have heard the three words before “Cash is King”. For penny stock investment, a good cash ratio is safer than the quick ratio and current ratio. In cash ratio, the accounts receivable is removed from the calculation as those may not truly be materialized within the 12 months period. So you’re in peace of mind knowing the fact that whether the customers of the company are paying the outstanding debts or not. You’re only left with cash and liquid stocks, bonds etc. Here also the ratio value of 1 or more is desirable and set a good benchmark to help remain the company in business for long run. Investing in these types of penny stocks is far better option to get back your investment with good profit. Operating Cash Flow Ratio: It shows a company’s short-term financial solvency. This is calculated using only cash coming from operations and dividing it by the current liabilities of the company. If its value is more than 1 or more, it assumes that the company is flooded with enough cash through its normal business operations to meet up the outstanding debt. This is really a good sign for a penny stock. But, in reverse situation when this ratio drops much below 1, then may be the company is in serious financial troubles. So you should look out for the ideal situation in companies where the solid cash flow couple with their ability to readily cover all their debts is certainly a plus for you. Price-to-Book Value Ratio: It’s an important indicator that can help you find whether a stock is actually cheap or not. To find P/B ratio you need to divide market price per share by its book value per share. The book value of a company is nothing but its net worth or shareholder’s equity funds. It’s the value left over if a company goes bankrupt. A higher P/B of a stock means you’re paying more than its book value. For P/B ratio of 3 of a stock, you need to pay $3 for every $1 of equity value on book. And likewise for P/B ratio of 0.5 means you have to pay $0.5 for every $1 of equity. So, probably you may be interested to go for lower value to make your investment manifold. But be causes to double check this with other variables. Price-to Earning Ratio: P/E ratio helps you to evaluate how hot your penny stock is. Finding a right value or under value stock with its ability to generate revenue on consistent basis year after year is critical to your success. P/E ratio of a stock works out by dividing the market share price per share by its revenue or earning per share (EPS). Now, what you need to look out for a stock that has low P/E ratio. But a high P/E ratio doesn’t always mean that the stock is necessarily being an expensive one. At the same time, you need to evaluate future earnings growth and compare P/E ratios with peer companies within the same industry too. P/E ratio below 15 is considered an attractive valuation of a stock. Sometimes penny stocks don’t have earnings. What will you do in that case? 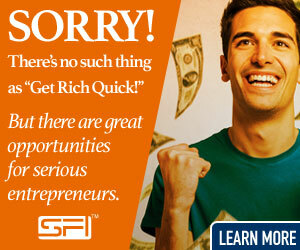 Well, many a times it can happen where you can find them with minimal earnings or without any earning. That signifies the P/E ratio meaningless. In that case, Price-to-Sales Ratio and Price-to-Cash Flow Ratio play crucial roles in identifying a good quality penny stock. A strategy would be when you find stock value is one half the sales per share value. What are the advantages of penny stocks? Well, what you’ve learnt so far might frighten you a bit over trading these stocks. Trading is nothing but a stock market game where either you may be a loser or gainer. You should take it a business venture. One good thing is that like regular stocks, you can find a few advantages trading penny stocks. Low Investment: Now, you may be aware of the fact that you can buy them cheap as low as 10 cent price. Thus you can buy large quantity of low priced penny stocks without spending too much money. This way you can take some sort of risks knowing the fact that what the maximum amount you can lose is your total investment in case if anything worse happens. If you’re right in your selection, a slight increase in price can make you richer. Low Entry Barriers: Getting started with investing in penny stock is a bit easier than that its counterpart high value stocks. Growth Potential: Penny stocks are usually small cap companies. With increase in their market cap over the years, the value of these stocks goes up and eventually they becomes mid cap companies. Imagine, you’re in them and voile, your money becomes manifold. You’re more relaxed now. If you have a high risk tolerance, you can enter into a trade on Penny stocks. But always beware of the fact that penny stocks are typically associated with a higher level of speculation and volatility that can potentially reward you immensely or make you heavy loser. And because of this heightened risk levels associated with investing in penny stocks, you always should take extra precautions in selecting them. Moreover you should trade them with a suitable stop-loss order to exit from them before they plunge into a gorge. But you have to believe the stock market saying “A Trend is a Friend”. Technically if a major support level is breached (say 200 DMA), the stocks tend to move in a bearish zone. You should always look for a penny stock that is moving in an upward trend continually breaching their previous highs. You can buy your trending stocks on dips or at the end of their desired correction. I will discuss more about technical matters later on. Because technical analysis couple with strong fundamental prospects produces great results. What should you call them-are they garbage? Please share the post if you like and leave your invaluable comments.